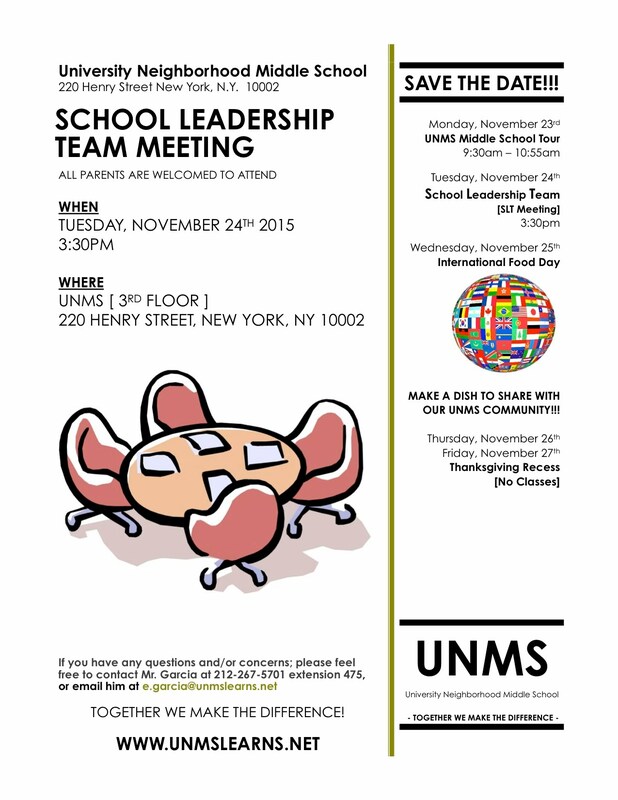 We would like to encourage you to partner with our school by joining the SchoolLeadership Team. The "SLT" monitors, assesses and amends the School Improvement Plan, builds the capacity of the school to address parent and staff concerns, and advances policies and procedures that enhance achievement and meet educational. safety and parental engagement goals. We value your input in ensuring our school is successful for all students. We will be holding our monthly meeting on Tuesday, November 24th 2015 at 3:30pm.